When was the last time you cleaned your comb? How about your flat iron? Can’t remember? Well, that could be an issue. I admit, cleaning the tools and accessories we use on our hair tends the last thing we think about. It often seems like the one part of having hair that most people tend to forget. All of the hair tools, styling tools, and accessories we use come in contact with our hair and the products we use on our hair. So over time, they collect residue particles of the dirt, dead skin cells, dust, oil, and products from our hair creating a nasty built up mess.of gunk. Think about this all of your hair tools and accessories now have a nice layer of dirt and product buildup on them and you use them on your freshly washed hair. This transfers all of that gunk right back to your hair. 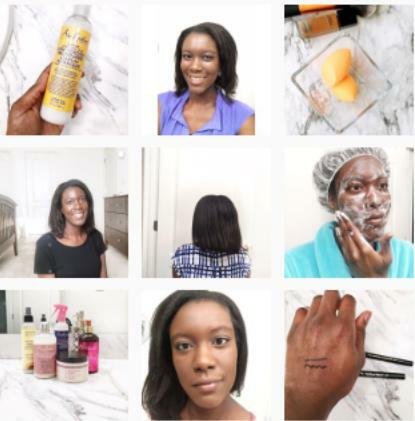 Basically making your wash day a waste of time. Oh and if you use heat styling tools like a flat iron or curling iron they also collect product buildup from the heat protectants and hair sprays you use. And get this, if your iron has product buildup on it when it’s heated it can burn your hair causing some serious damage. Remove hair after every use. Clean off product buildup and dirt at least once a week or every time you wash your hair. First, you need to remove any stray hairs from the comb and brush. It’s pretty easy for a comb because you can just pull all of the hair out. But for a brush use a thin long tool such as closed scissors to loosen and push hair to the top of the brush so you can pull it out of the bristles. Finally, let them dry. 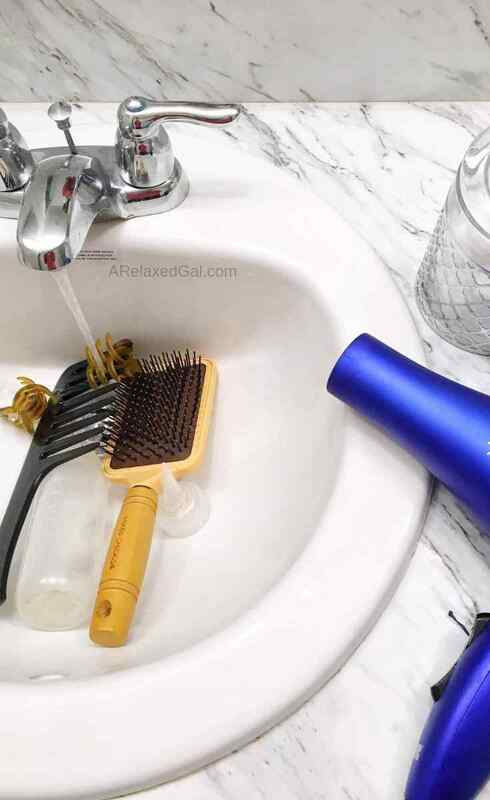 You can let both the comb and brush air dry by laying them flat on a towel. To help the brush dry faster you can turn it with the bristles facing down. Remove the filter at the end of your dryer and clean it using warm water, gentle soap, and an old toothbrush or baby bottle brush. Also, take a wet cloth and wipe down the hard surfaces of the dryer to remove any product buildup. Let everything dry before putting the dryer back together and using it again. First, remove any stray hairs. Next soak them in warm water and a gentle soap. Rub them to fully clean them. Finally, rinse them out and let them air dry flat on a towel. Depending on how often you use them and how much product you have on your hair once a week to once a month. First, let the iron cool down and make sure it’s unplugged. Once cool, take a wet soft cloth and rub it along all of the irons surfaces. If there’s some serious buildup particularly on the heating surfaces, I’ve found letting the iron warm up just a tad before wiping it down can help. Or when it’s cool use a little rubbing alcohol. Once all of the buildup and gunk is removed let the irons fully air dry before using again.